I set a movie goal for myself every year of watching 400 different movies. Last year, I averaged a movie per day. This year, I got a little closer, but fell just short, even with a huge push in the last couple of weeks to try to hit 400. Yesterday, I was at 392, meaning I needed another eight movies in two days. I made an effort, but I’m pretty much done at 398. Close, but no set of steak knives for yours truly. You can see what I watched this year here: Everything I've Watched in 2017. Of the 398 movies I watched this year, only 65 were rewatches, so 333 of them were new to me. In many of my year-end posts, I have an announcement or two. I suppose I kind of do this year as well. The reality of my Oscar lists is that I have a mere 112 movies left not including 20 or so that will be added in a couple of weeks for the next round of Oscars. Since there are probably a good dozen and a half that I can’t locate no matter how much I try, it puts me at needing to review only 9 or 10 per month to finish. So, I guess that means that I’ll be completing those lists as far as I can in 2018. Where do we go from there? Unknown, although the They Shoot Zombies, Don’t They? list has been calling me. And with several hundred more Oscar Got It Wrong! posts to go, I think we’ll be here for some time yet. Let’s hope for a better 2018 than we had a 2017. Peace, prosperity, and good cinema to all. Zombie movies are popular and have been for years, but we’re getting better and better zombie movies these days. I find this fascinating. 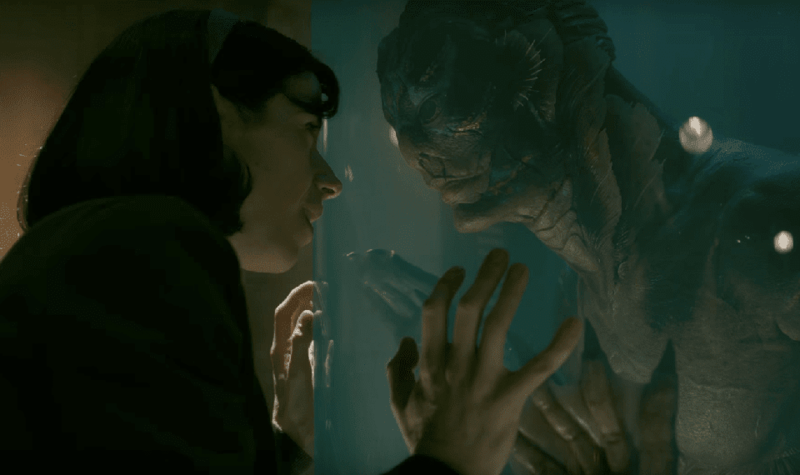 So often, a genre becomes tired and played out as more and more filmmakers dive in with their own versions of what quickly becomes standard and then cliché. Sure, there are plenty of bad zombie moves, but some filmmakers are exploring the ideas as real challenges and coming up with exciting films. Train to Busan (Busanhaeng in the Korean) is one of these films. However, the reason it is so interesting and worth seeing isn’t really about the ideas. So let’s talk about that for a moment. A film like Warm Bodies took the genre and made a Romeo and Juliet-style romance out of zombies. Maggie was a contemplative film about family that just happened to have a zombie story attached to it. 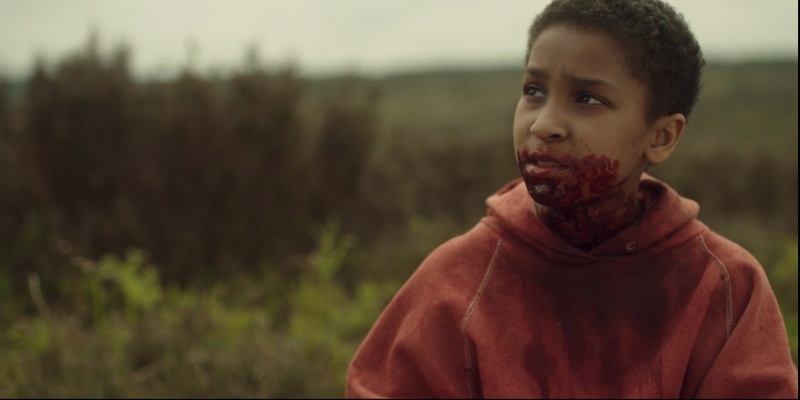 The Girl with All the Gifts, while technically not a zombie film, gives us a story from at least partially the point of view of the infected. Train to Busan does none of this. It is a straightforward zombie film that works for two reasons. First, it relies on the same speed of transmission of films like 28 Days Later. Second, it doesn’t stop. Oscar hasn’t always known how to handle non-English movies. 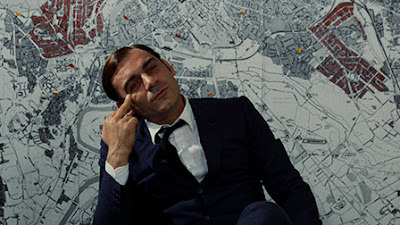 A case in point is Investigation of a Citizen Above Suspicion (Indagine su un Cittadino al di Sopra di Ogni Sospetto). This film won the Best Foreign Language Film Oscar for 1970, and then was nominated the next year for Best Original Screenplay for 1971. Evidently, according to Oscar, this film had two release years. Perhaps the Best Original Screenplay nominees for 1971 were so weak that they had to go hunting to fill the ranks. I suppose we’ll figure that out eventually. Elio Petri’s film (he directed and co-wrote it) presents us with a story that needs to be taken in several different ways at the same time. On the surface, it’s a police procedural with an interesting twist—one that we’re aware of the whole time. It is simultaneously one of the most subversive films I have ever seen. 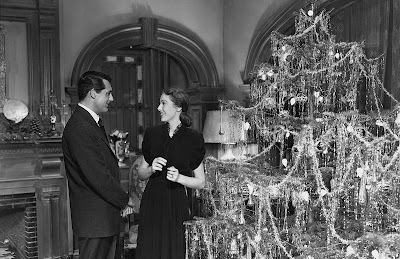 For the last few years, every time that Christmas has come along, I have considered watching The Bishop’s Wife and have always run out of time, just never getting around to it. With the number of movies I have left on my Oscars lists, it’s unlikely that I’ll have anything left other than movies I can’t find next December, so if I wanted to watch this at a time when it would be topical, it was pretty much now or never. 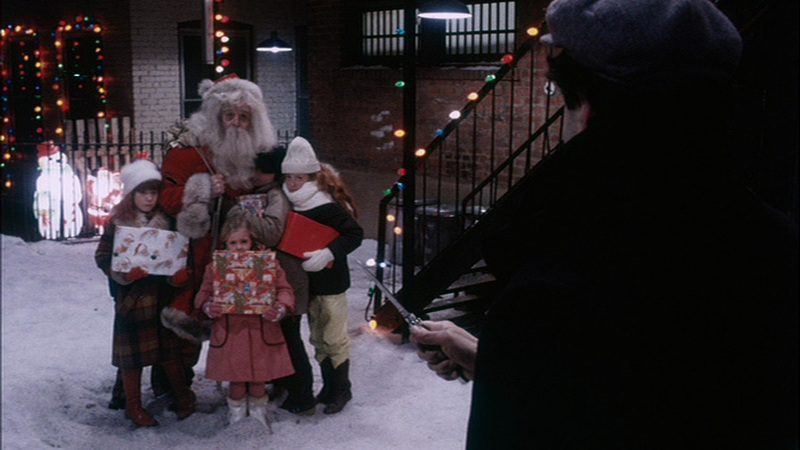 Fortunately, this is exactly the sort of film that gets played on Turner Classic Movies in December, so I recorded one of the instances and watched the film today after a holiday get-together with my family. It’s easy to put this in the same sort of vague category of Christmas movie as something like It’s a Wonderful Life because there is a strong supernatural component here. Specifically, there’s an angel who shows up and drives the plot. That angel calls himself Dudley (Cary Grant), and he has appeared to assist Bishop Henry Brougham (David Niven), who is trying to build a new cathedral. Now, Brougham’s denomination is never stated as far as I know, but he’s clearly not a Catholic bishop because he’s married to Julia (Loretta Young) and they have a daughter named Debby (Karolyn Grimes). I was a couple of minutes into Mr. & Mrs. Bridge when I realized I was in trouble. I went into it not knowing that it’s a Merchant/Ivory movie. I don’t want to talk Merchant/Ivory down, but I do have a bit of a history with them. That history is easily summed up: I don’t like them that much. They are routinely gorgeous and apparently historically accurate in terms of costuming and the like, but I also routinely find these films to be emotional slogs concerning people I really don’t care about. I’ve liked one or two of their films, though, and I do always attempt to like what I’m watching, so I forged ahead, worried but hopeful. 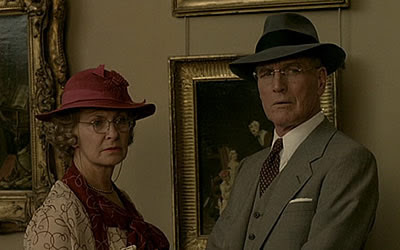 It’s nice to give a movie the benefit of the doubt, but in the case of Mr. & Mrs. Bridge, it didn’t deserve it. This is perhaps my least favorite type of movie. This is little more than a character study of two people I genuinely dislike. Rather than having a plot, it has episodes, and rather than reaching a conclusion, it simply ends. Despite a good cast, there is not a character here that is sympathetic or worth spending time around. Format: DVD from Mokena Community Public Library on laptop. A little over a month ago, when all of the sexual misconduct allegations were breaking and it seemed like half of Hollywood was a sexual predator, I posted something about my own (admittedly temporary) inability to work up any enthusiasm for watching anything. There are posts I’m going to have to make here that will concern known and admitted predators, and I’m still not entirely sure how to handle that. 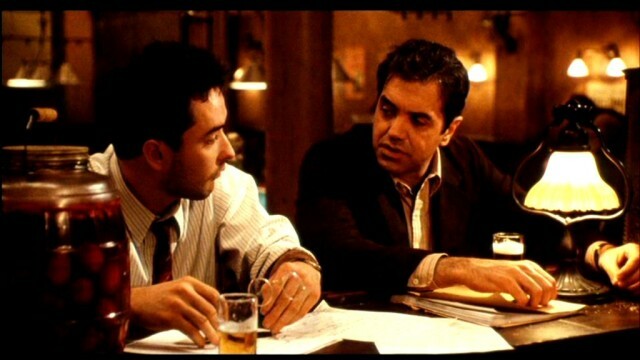 Bullets Over Broadway is a case in point. Woody Allen has been accused of the sexual abuse of a minor. He also happens to be an acclaimed writer and director, and Bullets Over Broadway is one of his better films. And herein lies the problem that I was talking about a month ago. How exactly do I address Allen’s work? I mean, Bullets Over Broadway is nicely directed. It’s got a lot of moving parts and all of them work together well. It’s a good script with memorable characters. And yet, I find it difficult to praise Woody Allen right now. Format: DVD from Netflix (Story) and internet video (Again) on laptop. Allegedlly, back in the day, Al Jolson was considered the commensurate performer. That being the case, it’s hardly surprising that a movie was made based on his life. It’s perhaps a little surprising that two movies were made based on his life and that both wound up on my Oscars lists. Still, if ever there was an opportunity for a double feature, two movies about Al Jolson with an almost identical cast list would clearly be it. Before jumping into the movies, it’s worth talking for a moment about Larry Parks, who plays Jolson in both films. This is a guy for whom I feel very sorry. 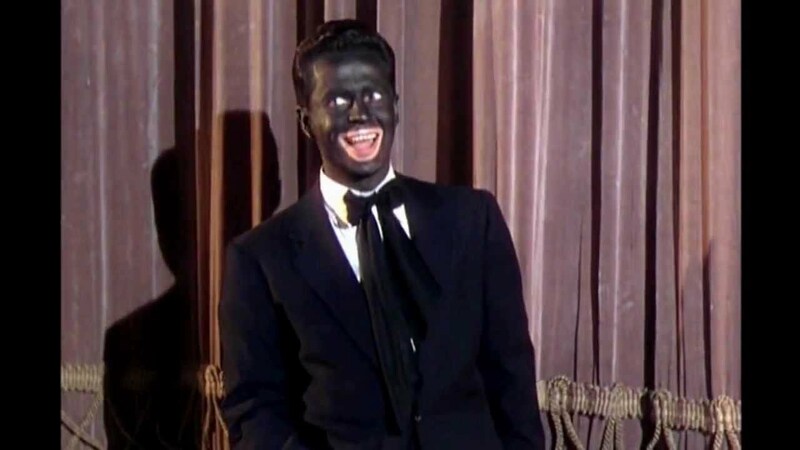 The Jolson Story was his coming out party and it made him a star. That stardom lasted only a couple of years, because Parks was indicted in the blacklist scandal, admitted to having once belonged to a communist cell, and his career was destroyed. And, the movie for which Parks is best remembered is one in which he performs a great deal in blackface. Here’s someone who clearly never caught a break. I didn’t know what to expect with Half Nelson, but I was extremely nervous about where we were going a few minutes in. Half Nelson looks like it’s going to be another one of those “white savior” movies where the white teacher is working in an inner city school inspiring all of the minority kids to escape the ghetto. Thankfully, it’s quickly evident that it’s not that at all. This is not going to be one of those inspirational films, but it is going to wind up being depressing as all hell. That is where we’re going to start, though. Dan Dunne (Ryan Gosling) is a history teacher at a middle school where he also coaches the girls’ basketball team. The kids seem to like him; he’s young and relatively hip, treats the kids as if they have intelligence, and tends to avoid the curriculum in favor of something a lot closer to communist philosophy a la Engels. It’s a front, though. At night, Dan Dunne does a lot of drugs, specifically cocaine, often freebasing. Much of this comes from a failed relationship with Rachel (Tina Holmes). Format: DVD from Sycamore Public Library on various players. One of the main issues with a film like The Girl with All the Gifts, is that it’s going to create the same arguments that happened when 28 Days Later was released. The biggest controversy with that film was whether or not the infected were actually zombies. Well, the same argument is going to happen with the hungries in The Girl with All the Gifts. They are clearly zombie-like in almost every relevant way (including eating their victims), but they aren’t really resurrected corpses. Whether they are zombies or not is an argument others can have; they are clearly zombie-inspired. It’s not clear right away that this is a zombie-like film. Instead, it’s not at all clear what is happening. A group of 20 young children are daily strapped into wheelchairs and put in a room where they are taught by a collection of teachers, including Helen Justineau (Gemma Arterton). Helen seems particularly taken with the girl sitting in position four, Melanie (Sennia Nanua). The base is clearly military, though, and everyone seems insanely paranoid around the children. We soon find out why when Helen touches Melanie’s head. I realize that there are probably people who don’t love the classic Universal monsters, something I find nearly impossible to believe. I do love them, though, even the silly ones that gave up all pretense of being actual stories that dealt with the original source material and became nothing but camp goofiness. That’s certainly the best description of House of Frankenstein, well down into the list of Universal monster films both in terms of when it was made and in terms of its overall quality. 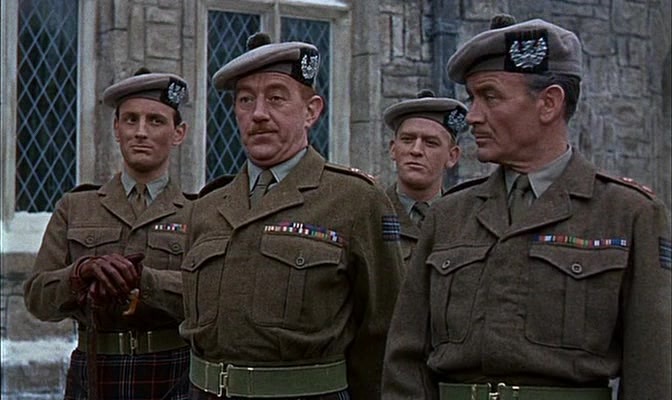 There are some solid connections to the movies of the past in terms of cast, but not much else. House of Frankenstein’s selling point is that there’s not just a single monster here. No, the joy here is to bring in as many monsters as possible. 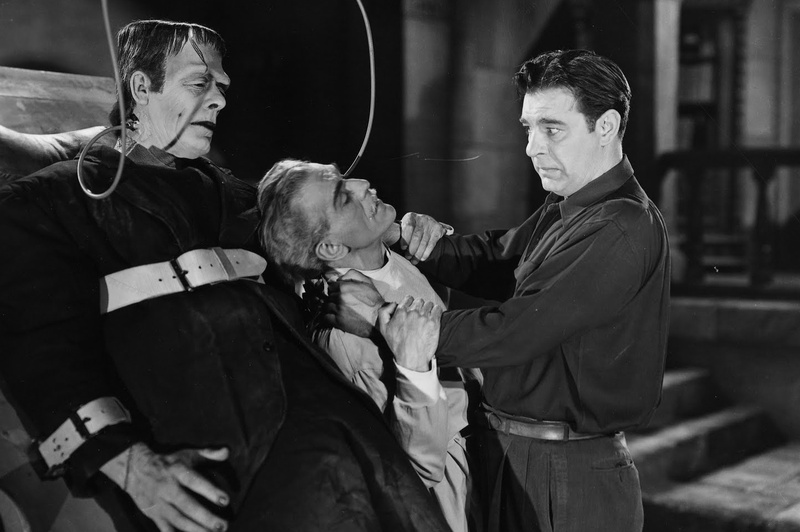 So, in addition to Frankenstein’s Monster (Glenn Strange), we’ve also got Dracula (John Carradine! ), the Wolf Man (Lon Chaney Jr. reprising his most famous role), a mad scientist named Niemann (Boris Karloff), and his hunchbacked assistant Daniel (J. Carrol Naish). Unfortunately, just as when super hero movies up the ante by adding more villains and end up giving everyone short shrift, the same happens with this many monsters in this case. That’s especially true when the film runs a spare 71 minutes. Normally, I’m done with the new entries for the 1001 Movies list long before 10 days into December, but I’ve still got a couple to go (well, one more after today). There’s a reason for this. I, Daniel Blake isn’t available anywhere that I’ve found and I really wasn’t that interested in watching a new reworking of The Jungle Book. However, I do want them done by the end of the year, and The Jungle Book is currently streaming, so it made sense to knock it out. It was better than I thought it would be, although at this point that doesn’t say much; remember, I wasn’t looking forward to watching it. Chances are you know the basic story. 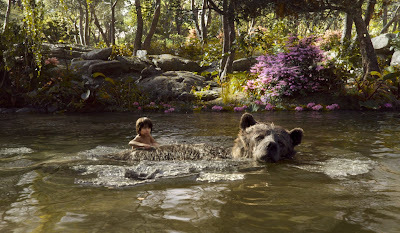 Mowgli (Neel Sethi) lives in an Indian jungle, literally raised by wolves. His wolf mother is named Raksha (voiced by Lupita Nyong’o) and the pack is led by Akela (Giancarlo Esposito). Mowgli does his best to become the best wolf he can be, but, since he’s human, he’s not always that great at it. Still, he’s accepted in the wolf pack and mentored by Bagheera (Ben Kingsley), a panther. Labels: 1952, Best Original Screenplay, Oscar Fucked Up, Pat and Mike, The Atomic City, The Lavender Hill Mob, The Sound Barrier, Viva Zapata! There’s a particular type of film that takes place at least in part in the confines of a psychiatrist’s office. I think people tend to be fascinated by mental health issues, probably because of a desire to understand something that seems so strange. Movies in this odd little genre run the gamut from serious looks at mental health for the time (The Snake Pit) to prurient tales (Shock Corridor). They often deal with terrible, deep-seated issues (Equus, Ordinary People, Good Will Hunting) and sometimes romance (I’m a Cyborg, but That’s Okay, Silver Linings Playbook). David and Lisa attempts to be many of these things. It wants to be serious and it wants to be a romance. What it isn’t, though, is a real look at the problems of our characters. Here’s what I mean by that. 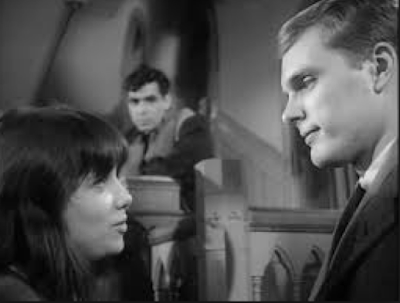 David Clemens (Keir Dullea) is brought to a youth-oriented psychiatric hospital more or less disguised as a school. David has an intense fear of being touched. He is also obsessed with time, and has a recurring dream in which he executes people with the hands of an enormous clock. Do we learn why any of this is true? We do not. Lisa Brandt (Janet Margolin) gets called a schizophrenic in the movie, but she seems to have a split personality. There is Lisa who speaks only in childish rhymes and there is Muriel, who doesn’t speak and communicates only by drawing. Do we learn why? Of course not. Back in my podcasting days, Nick Jobe and I watched American Psycho. I don’t remember what the theme of that episode was, and I don’t remember the movie I picked to pair with it, but this was definitely Nick’s choice. That’s not a comment on Nick, just a recognition that Nick had seen it and I hadn’t. The truth is that I think American Psycho is close to an underknown classic, a film that should be better known and more frequently seen. 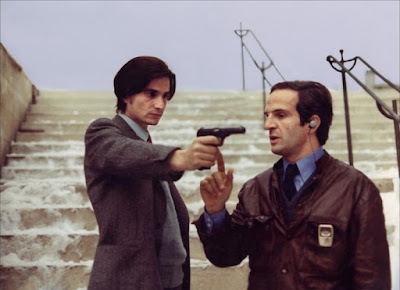 This is sardonic film, a sort of winking nod at the excesses of the Reagan-fueled 1980s and the immoral, greed-soaked culture that it spawned. One of the genius moves of American Psycho is that we never really know what its anti-hero Patrick Bateman (Christian Bale) actually does for a living. He works for a firm called Pierce & Pierce and his business cards say “Vice President,” but we never really see him doing anything in terms of actually earning a living. In truth, he is our American psycho, someone who is completely without emotion, a true psychopath. We learn initially of his morning routine designed to help him keep up the façade of his daily life—his sort-of fiancée Evelyn (Reese Witherspoon), his work life, his insane jealousy over other people’s business cards. But, buried deep inside him, there is a growing disgust with the world and a bloodlust that demands being sated. I’ve mentioned in the past about my position on Holocaust drama. I fully agree that it’s a story that needs to be told over and over. But there is only so much real horror I can stand before something like numbness sets in. It’s not a lack of outrage on my part, but sort of an overwhelming grayness where the horror is still there and I’ve lost the ability to react to it in some way. It’s why I pace myself on such films. Too many right in a row, and I emotionally freeze up to protect myself. Paced out, I can still feel the full horror, revulsion, and outrage that is necessary. And then we get Music Box, and my outrage comes from somewhere entirely different. Anne Talbot (Jessica Lange) is a defense attorney in Chicago. 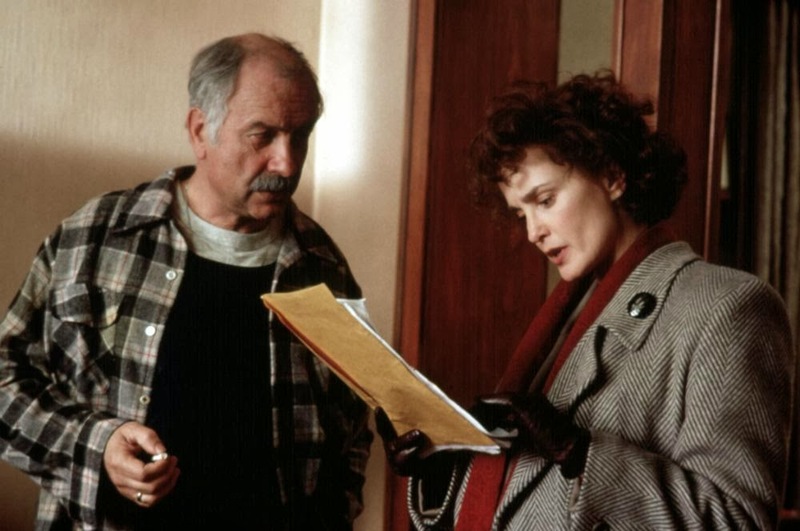 She has just learned that her Hungarian immigrant father, Michael J. Laszlo (Armin Mueller-Stahl) may have his U.S. citizenship revoked for lying on his forms. The state contends that he lied because he a war criminal who actively participated in the slaughter of Roma people and Jews in Hungary. In fact, the state contends that he is actually a man known as Mishka, a commander of the Arrow Cross death squad. Michael claims that the accusations are false and have come from Hungarian communists who are attempting to discredit him for protests he was a part of. For her part, Anne believes in the truth of her father. Format: HBO on hotel television. When Get Out became the sudden darling of the movie world. I was intrigued. That happens with a horror movie now and then, and tends to happen with a horror movie that really deserves it. There was huge, worthy buzz surrounding films like It Follows, for instance, and while opinion is divided on The Blair Witch Project, there’s no denying that it was influential in no small part because of the huge sensation it caused. But, I don’t go to the theater that often. It’s been almost two years since I’ve sat down in a crowd to watch a film, and I knew that if it were big and important enough, it would show up on my television eventually. Well, it showed up on a hotel television, and that’s good enough for me. Let’s first of all be honest about one thing: Get Out was hailed as being incredibly and fiercely original. It’s not. In many ways, it’s a racially-based riff on The Stepford Wives with a bit of Being John Malkovich thrown in for good measure. That’s simply true, and it also matters not in the least. That’s because Get Out feels incredibly new and original from the moment it starts to get a little odd to the third act when it spins into full-on, violent horror. Good filmmakers can make the old feel new and can give an old idea relevance in the modern world. That’s precisely what writer/director Jordan Peele has done here. In 2008, when Milk was released, it seemed like a story that needed to be told. Now, about a decade later, it feels a lot more important in some ways. This is the story, or at least part of the story, of Harvey Milk, the first openly gay person elected to public office in California. That Milk served only 11 months before being assassinated is clearly a part of the reason for the biopic. A summary of the film is more or less the summary of the last eight years of Milk’s life. 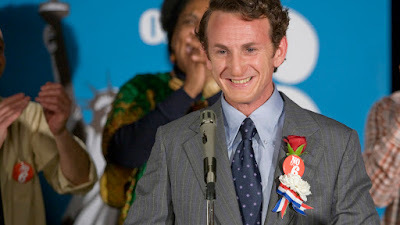 Beginning in New York, Milk (Sean Penn) and his partner Scott Smith (James Franco) head to the more gay-friendly environs of San Francisco, eventually settling in an area known as the Castro that was becoming a more gay-friendly and dominated area of the city. Still subjected to near-constant discrimination, Milk starts working as an activist and running unsuccessfully for political office. Scott begins as his campaign manager, but eventually becomes frustrated with Harvey’s activism and leaves him.